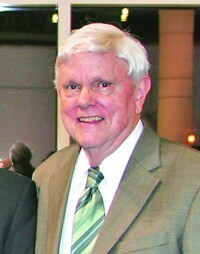 FAIRMONT, W.Va. — Times West Virginian Publisher Frank Wood announces that the honorary title of editor emeritus has been bestowed to John Veasey. Veasey, who has been with the newspaper and its predecessors for more than 50 years, will continue in his day-to-day role, including writing a daily column, sports columns, articles and feature stories. “The title is intended to truly honor John for what he has meant to not only this newspaper but this community for many, many years,” Wood said. “Throughout his career, he has been a voice for this community when it needed one and has worked diligently on several service projects that have made Marion County a better place to live. “This newspaper is very fortunate to have John as an active writer and columnist and look forward to his continued contribution,” Wood said.